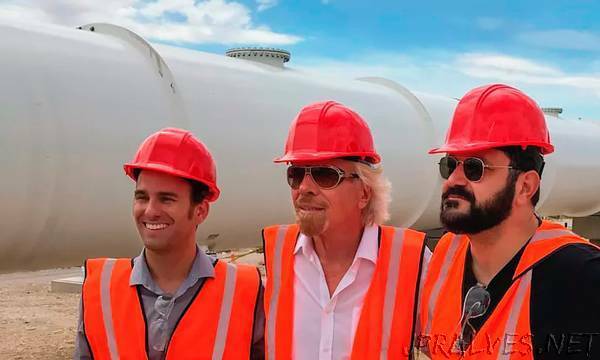 The investment, which makes up part of an $85m fundraising announced in September, will see Hyperloop One changing adding the Virgin name to its branding. “This is an incredibly innovative and exciting new way to move people and things at airline speeds on the ground,” Branson said in a statement. The Hyperloop concept was first mooted in 2013, when Elon Musk, the billionaire behind Tesla cars and the SpaceX rocket business, released a 57 page “open source” document detailing his plans for a transport system that would carry travellers from San Francisco to LA in a matter of minutes. The details of his proposal might have been unconvincing to many experts – one transportation engineer noted that, among other things, Musk radically underestimated the cost of concrete viaducts, the unpleasantness of high-speed tight corners and the difficulty of safely stopping in an emergency – but the proposal spawned a number of companies eager to work on versions of the idea. Hyperloop One has risen to the forefront of those companies, with another, Hyperloop Transportation Technologies, not far behind. Both have abandoned some of Musk’s initial concepts, such as the proposed route and cost estimates, but kept the core technological proposal intact. Neither has had a smooth ride, however. Hyperloop One lost its cofounder, Brogan BamBrogan, in a messy lawsuit alleging physical threats and financial misconduct against his co-founder and other company executives. Brogan has since started a third Hyperloop company, Arrivo. The entire field was shaken by the announcement in July that Elon Musk intended to build his own Hyperloop after all. Musk tweeted that he had “verbal government approvals” to build an underground tunnel from New York to Washington DC through his start-up The Boring Company, although he did not, in fact, have formal approval from any relevant government body. And there are still questions about whether the Hyperloop technology can even be made to work at all, at least in any way that renders it cost-effective compared to traditional high-speed rail. Critics note that no company involved has any history or expertise in securing the sort of massive government approval needed to build an intercity railway, and that on many factors other than speed, it is not clear that Hyperloop is actually an improvement.